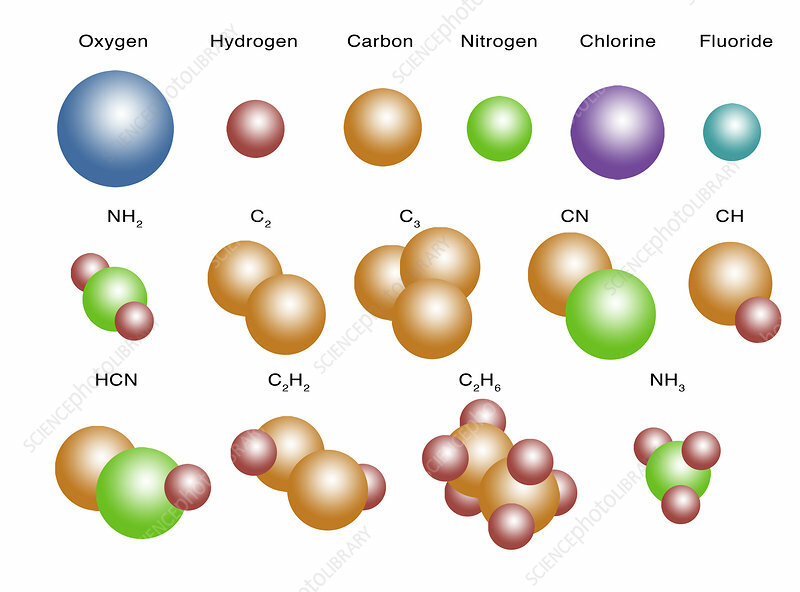 Illustration of various air molecules. Top row, left to right: oxygen, hydrogen, carbon, nitrogen, chlorine, fluoride. Second row, left to right: NH2 (amidogen), C2 (Diatomic carbon), C3, CN (cyanide), CH (Methylidyne). Bottom row, left to right: HCN (Hydrogen cyanide), C2H2 (Acetylene), C2H6 (Ethane), NH3 (Ammonia).